We are a unique company offering specialist spa design and consultancy coupled with the creation of some of the most exciting hydrothermal bathing experiences in the world. Whether you are seeking to create a beautiful home spa or a cutting edge, state of the art commercial spa as a stand-alone facility or as part of a hotel, condominium or resort development, we would be delighted to talk to you. Our specialist skills are available individually or collectively as a turnkey solution when we can bring together our extensive network of partners to provide a professional project design team. There isn’t a project too large, too small or too far away as we have representative partners all over the world. Please don't hesitate to contact us for more information about work! 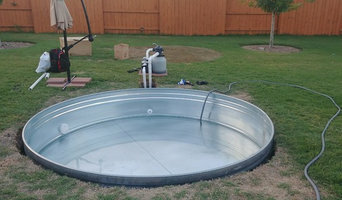 With over 1,000 installations we are one of the top resources for quality Austin hot tubs. We carry both Bullfrog and Clearwater Spas and our showroom is the largest in Austin. Come by see the quality hot tub and spa options we have to offer. 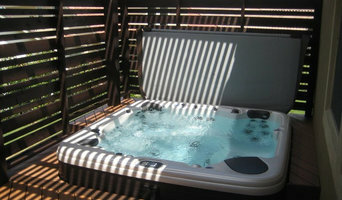 Premiere Hot Tubs is the Only Place to Go for the Best in Spas & Hot Tubs. From San Antonio to Waco, San Angelo to College Station, we are your Hot Tub Destination! For over twenty two years, Owner Mike Gray built a solid reputation as one of Texas best spa technicians committed to providing quality service to the community. High Desert Spas believes that a reputation as an honest and reliable business is the recipe for success. While others seek to profit by cutting corners, or recommending unnecessary services to customers, High Desert Spas believes that a good reputation and consistent service will reap not only satisfied customers but return customers in the long run. By being trustworthy High Desert Spas believes we will enjoy a long term profitable business that serves the community. A-Tex Family Fun Center seeks to enhance our customer's lives through a commitment to quality products, excellent services, education, integrity and vision. From Pools and Hot Tubs to Game Rooms and Billiards, A-Tex Family Fun Center is How Austin has Fun at Home! We find and repair leaks in swimming pools and spas. Using professional grade equipment, underwater microphones, pipe cameras, sensitive water loss tools, we can locate and fix just about any leak in your pool system. Pampering Pros is the only Massage Therapy business in Austin that hires ONLY Board Certified (NCBTMB) Massage Therapists. Board Certification is the highest attainable credential in the industry. Looking for the best? We've picked the best for you! It’s important that you do some research before visiting a local Jonestown spa and hot tub dealer. While they can give you lots of information about features and financing, you should have an idea of where you would like to position your spa and what its main function will be. Do you plan to use it mostly for relaxation or socialization? How many people will be using it? All of these things will help the hot tub dealer pick the best models for you. Decide who will be responsible for daily maintenance in your household and if the extra energy costs are something you’re actually willing to incur. Also, know that most hot tub stores in Jonestown, TX let you do test soaks, also known as a “wet test”, where you can throw on your suit and take each model for a spin in the showroom so you know exactly how they feel before purchasing. Don’t be shy — just think of it as test driving a car! 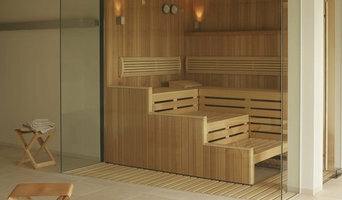 Find spa and hot tub dealers in Jonestown, TX on Houzz. 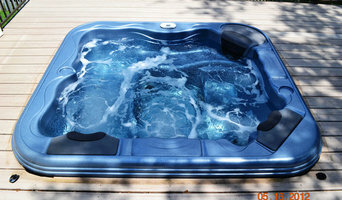 Narrow your search in the Professionals section of the website to hot tub and spa dealers in Jonestown, TX. You may also look through photos to find hot tub designs you like, and ask about the details of the spa, including the manufacturer and where it was was purchased.